SIOP PODC members enjoyed a varied programme at the annual SIOP meeting which was held in Washington from October 12 to 15. We welcomed our new co-chair Sandra Luna-Fineman, and there are now 11 working groups and 3 task forces, with over 1300 working group members from 92 countries. Both the PROS LMIC Task Force and the Integrative Medicine Task Force have become working groups. We welcomed the following new co-chairs: Michael Sullivan to Adapted Treatment Regimens, Paola Friedrich to Abandonment of Treatment, Marisol Bustamante to Palliative Care, Karen Viani to Nutrition, Lisa Morrisey to Nursing, Nihad Salifu to Twinning, Collaboration, and Support, Neil Ranasinghe to Education and Training, Parth Mehta to Essential Drugs and Glenn Mbah to Integrative Medicine. The new Education and Training co-chair Neil Ranasinghe replaces Ramandeep Arora as the PODC representative on the SIOP Website and Communications Committee and will be ensuring that our information is up to date and we are participating fully in SIOP communications as appropriate. If you have interest in any of our working groups, please contact the co-chairs of that working group or task force listed on the SIOP website. Collaboration across working groups and task forces. Measuring Impact and Outcomes of PODC working groups and task forces. Increased engagement with SIOP general membership? Survey synthesis. How to take advantage of data we already have from PODC Surveys. The discussions will be presented at the 1st SIOP PODC quarterly meeting in late January 2018. PODC Education Day introduced a new element The Best of the Continents featuring award winning papers from the Africa, Asia and Latin America continental meetings, and we were treated to the usual Best of the PODC free papers session. There was an engaging symposium from the PROS LMIC team entitled “What Constitutes the Best Practice and Quality Standards for Paediatric Radiation Oncology in Low- and middle-income countries (LMIC)?” and there was a very useful PODC Supportive Care symposium hosted by both PODC Supportive Care Working Group and the SIOP Supportive Care Committee. Day +3 saw Carlos Rodriguez-Galindo’s team give an update from the Lancet Global Oncology Commission, and we were treated to a very engaging symposium from the Twinning, Collaboration, and Support Working Group called Twinning: How do we Monitor and Evaluate? PODC themes were well represented in the main stream of this year’s SIOP. The PODC Essential Medicines Working Group put together an excellent symposium Global Access to Essential Medicines for Children with Cancer: Dynamics and Challenges, and we believe that the energy around this issue (which unites oncologists in all settings) will lead to a multinational monitoring programme aimed at quantifying and mitigating drug shortages. In addition this year’s advocacy symposium profiled LMIC in the south Pacific and was entitled Advocating for Children Beyond Our Reach. Childhood Cancer in Oceania. And the meeting closed with PODC traditional Day +3 afternoon workshop. Co-hosted this year by PODC and the Russian Federation’s National Society for Pediatric Hematology the workshop was entitled Translation of knowledge: An NSPHO and SIOP PODC Review and Discussion, and profiled the use of treatment protocols (adapted and otherwise) in LMIC. We look forward to a fruitful and strategic 2018, and an excellent programme in Kyoto. 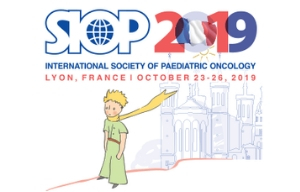 Next, we highlight 2 SIOP PODC Working Groups, Twinning, Collaboration, and Support and the SIOP Africa/PODC Collaborative Wilms Tumour Project. The SIOP PODC Twinning, Collaboration, and Support Working Group is comprised of 94 members from 24 different countries across the world. The group is dedicated to facilitating information sharing, discussion, collaboration and research around best practices in twinning programs and international collaborations in pediatric oncology involving low and middle income countries. By facilitating information availability and exchange regarding successful twinning programs, the group promotes the development of new twinning partnerships and supports existing programs. Presently, the Twinning, Collaboration and Support Working Group is developing a central online repository for research, tools and discussion around pediatric oncology twinning. This resource will collate literature around best practices, incorporate practical guidelines for developing, maintaining and monitoring twinning partnerships, as well as host online tools to identify potential partner institutions and monitor established programs. In addition to serving as an ongoing resource for providers and institutions engaged in twinning programs, this working group hopes to continue to organize discussion sessions/symposia annually at SIOP so that practices in twinning programs can be shared among SIOP members in live discussions. This past year’s SIOP conference hosted such a session focused on the monitoring and evaluation of twinning programs with presenters from Cameroon, Myanmar, Ghana and the Netherlands. The session incorporated discussion of a broad range of effective monitoring and evaluation techniques in twinning programs, from nurse-reported monitoring for IV vesicant infiltrations, to patient and community produced video narratives to assiduous long-term patient follow up in highly rural, poorly accessible conditions. An equally important and exciting session has been submitted for SIOP 2018. If you are interested in learning more or joining this working group please visit our page on the SIOP website. The SIOP Africa/PODC Collaborative Wilms Tumour Project is implementing adapted treatment guidelines (WT and supportive care) in five countries in sub-Saharan Africa (Malawi, Ghana, Cameroon, Zimbabwe and Ethiopia). For more information please see our website http://paedonc.wixsite.com/wilmsafricaproject or the information on the SIOP website. 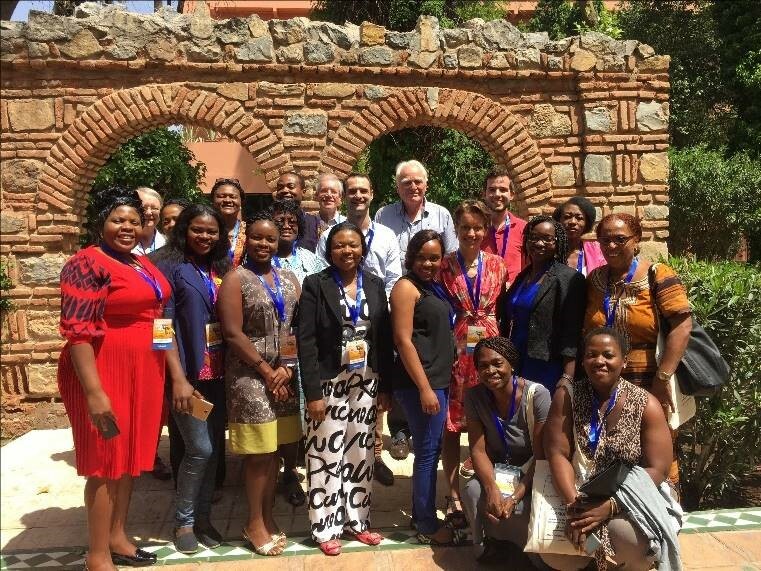 We had a productive work meeting at the SIOP Africa meeting in Marrakech last April (picture below). The collaborative project started treating children in 2014 and the aim is to improve survival to over 50%. We are glad to see progress. In the first two years abandonment of treatment decreased from 23% (baseline evaluation1) to 13%. 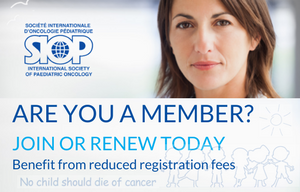 Funding from both SIOP and World Child Cancer has helped to support parents to pay for treatment and associated costs which contributed to this reduction. Treatment related mortality (in the baseline evaluation 21%) decreased to 13%. Longer term continuing collaborative efforts and follow up will demonstrate a more complete picture of the effect of interventions and need for others. The group is organising a regional ultrasonography training meeting in Malawi in May 2018. The aim of this training is to strengthen the multidisciplinary teams, improve diagnosis of Wilms tumour and to benefit general paediatric care in the participating centres. 1 Paintsil et al. The Collaborative Wilms Tumour Africa Project; baseline evaluation of Wilms tumour treatment and outcome in eight institutes in sub-Saharan Africa. Eur J Cancer 2015;51(1):84-91. The Collaborative WT Africa group meeting at SIOP Africa in Marrakech in April 2017.